The Swimming New Zealand Awards will take place at the Spencer on Byron Hotel, Takapuna, on Saturday 7 July. The evening will celebrate the achievements and efforts of swimmers, coaches, officials and volunteers in 2017-2018. 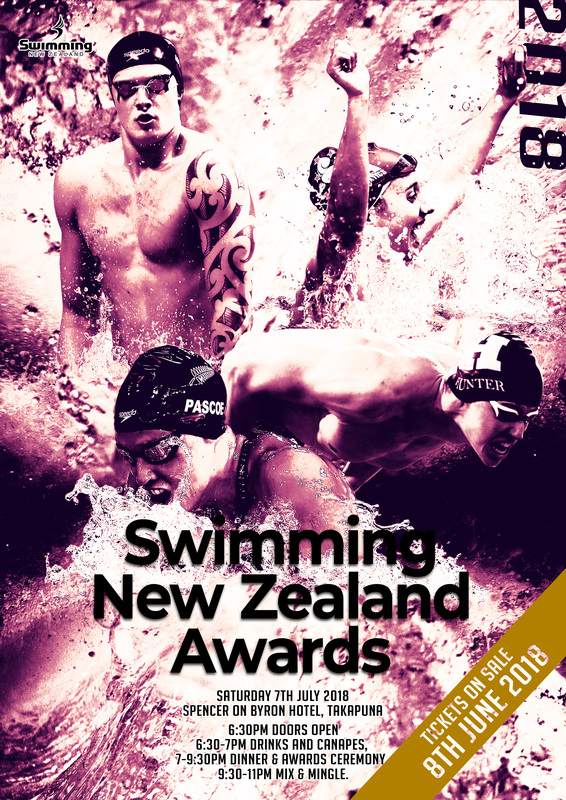 Tickets for the 2018 Swimming New Zealand Awards will go on sale on June 8. Click HERE for awards event page. Nominations for the awards are open. Click HERE to make a nomination for the awards. Nominations close on Monday June 4 2018.